Family discipleship is an important part of family life. 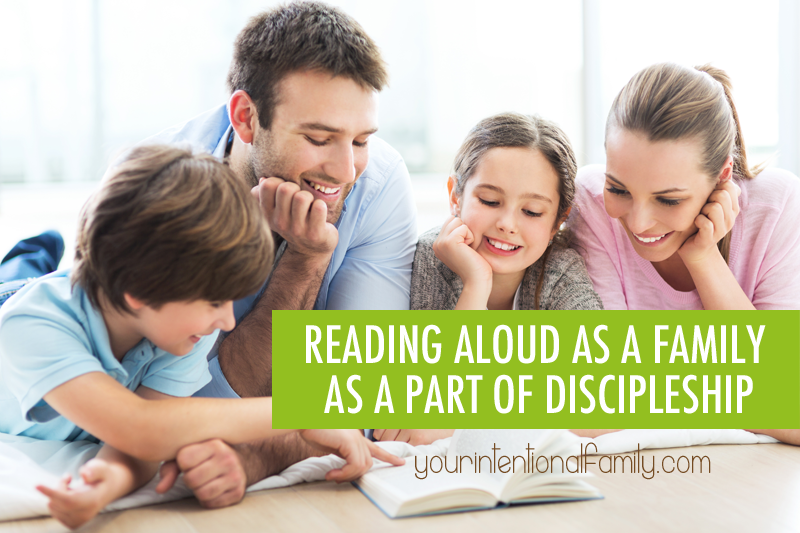 Have you ever considered reading aloud as a family as a part of discipleship? Reading aloud to my children is as natural to me as breathing. I was born a book lover. When I married my husband, we created a category in our budget for “Leigh Ann’s books.” Mark and I joke often that some husband’s worry about their wife’s shoe collection. He just worries if we’re going to go broke over another book entering our house. As a child I can remember my punishments for disobedience being “no reading for the rest of the day.” My parents would hide my book from me, giving it back after said punishment was finished. My favorite childhood memories revolve around books and stories. I can recall the smell of cotton as I sat on the stairs by the laundry room listening to my grandmother tell me the story of Goldilocks and the Three Bears again for the 1,057th time. I can remember sitting in the door frame of my brother’s red carpeted room reading him stories from the books we collected from our local library for the summer reading program. I knew that if I read him his books, I could count them toward my total read for the summer. It doubled the efficiency of my library trips. I would read 1,000 books just about every summer to earn free pizzas and other prizes, but really the prize for me was simply getting to read. When my first son was born, I started reading to him that very day. The first time I loaded him in the stroller to walk to the library he was barely four months old. I rolled into the little library and parked us near the board books. I propped a book open on his lap and let him try to grab it while I loaded my library bag with board books for home. The librarian wasn’t quite sure what to make of me that day, but she was pleased to chat with me each week as I walked back and forth between the library and our little condo to get new books for my son. We even did the summer reading program that year and he received a little puppet in return for his little drooling efforts. I’ve been an avid children’s book collector for five years now, and I’m always seeking out new titles and stories that will peak the curiosity of my children. I love finding used bookstores and hitting up second hand stores or even yard sales for cheap, gently used books. Why am I telling you this? What does this have to do with your intentional family? I know that not everyone loves reading books as much as I do, but I do think children should be read to, and read to often. As I’ve read more and more about the importance of reading to children, I’ve become an even bigger advocate of sharing stories, poems, and good literature with children. There is a need for an increase in read-aloud time with our children and even read-aloud time as a family. Our media saturated world is threatening to steal away one of the most precious gifts we have – the sharing of words through story. There is plenty of research out there on the importance of reading to our children. Reading aloud is widely recognized as the single most important activity leading to language development. Language is how we communicate. The more we read to our children the more words they will add to their vocabulary. The bigger their vocabulary the greater their propensity for retaining and comprehending information. But you don’t need me to tell you the academic value of reading to your children. Beyond that, books are a wonderful way to bond with our children, to gather around a shared idea or story, and reading even lends itself to snuggles. There is a togetherness and a moment of rest that is shared when we curl up on the couch or in a big chair and read a story. Stories and words engage various parts of our brains without shutting down any part of it. It’s not passive like television viewing. It’s active and present. It’s engaging and relationship building in its very nature. But more than all of that, books provide a beautiful gateway into the teaching of lessons, exposing of ideas, and adventures in imagination that cannot be rivaled. We all learn, perhaps best, through stories. Think about how Jesus did most of his teaching. In parables, did he not? God clearly loves the written word and storytelling. He did have His divine word recorded for us in writing to read and learn from. He reveals Himself in His Word and Jesus was Word become flesh. Jesus taught lessons from the Bible in story form. When it comes to reading aloud to children, there’s a connection here that goes beyond academic success and cuts straight to the heart of family discipleship. As parents, we want to disciple our children in the ways of the Lord, and I believe a great place to start is with depositing a love for reading and written language into the hearts of our children. And not just our small children, but this investment should carry on even into their teenage years. Where do we learn to love and obey God? In the Bible alone. The written inspired Word of God. Developing a love for good, quality literature in our children will invest dividends into their love and ability to read and comprehend God’s Word. Plus if stories were how Jesus taught, it would do us well to consider the books we’re reading and be willing to acknowledge that the messages told in story form can pack a powerful punch. What messages are the books you’re reading to your children (or that they are reading alone) conveying? What books can we, as parents, find to convey spiritual lessons while being completely fun and engaging? What books can we read that will help grow the character of my children? What heroic tales of old can we recount when faced with challenging circumstances? How can we inspire the imaginations of our children? How can we unearth the power found in the written word? Those are the questions I’m asking myself for my children. We currently have a five year old and two and half year old. I want to fill their hearts and minds with wholesome literature that encourages creative and courageous living. I want to inspire greatness and mourn evil together through literature. As we introduce our children to good literature alongside biblical teaching, we will bring the spiritual realities to life for them. Great stories have a way of fleshing out biblical faith. Stories can help our children see our Christian faith lived out and help them see that they too can be a part of God’s kingdom work, no matter their age. Read aloud time is a cherished time in our home. Our home is full of books, and I’ve created reading areas in every nook and cranny of our home. My brother-in-love calls my house a library. Yes. Yes it is! And it’s only going to grow, I pray. Sam (our five year old) loves curling up with Mommy or Daddy to read a good book, and he’s our child who sits for stories without wiggling. My second son will curl up to read when he’s tired, but otherwise he’s tinkering with toys or looking at other books of interest while I read aloud. But both boys love hearing stories read and discussed. They look forward to our reading times and even enjoy listening to audiobooks in the car when we make our weekly trip to the next town over for groceries, milk, and errands. Books are just a part of our family culture, and our love for books and good literature has grown throughout the years. Words are a gift. Reading is a gift. A gift we can share with our children for the glory of God! What about you? 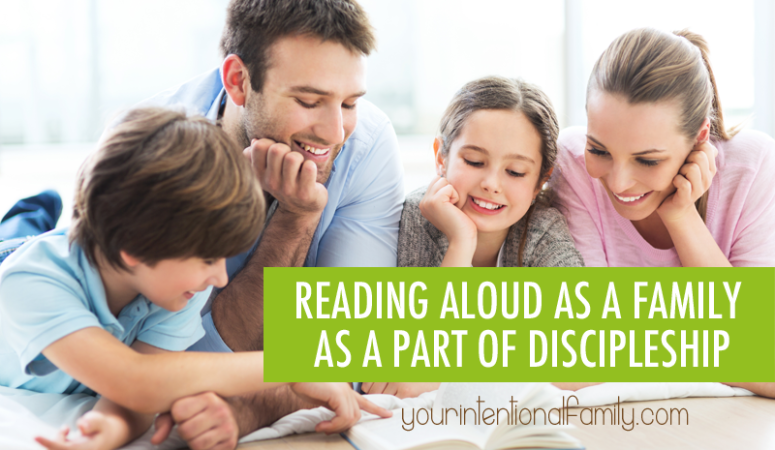 Does your family participate in family read aloud time? What books do you enjoy reading together? You can see from the list, I hope, that not all the books are directly related to the Christian faith. Some build vocabulary, some have a faith element, and some are just for plain ol’ fun! Also, some books I read-aloud to the children by myself, other books I read-aloud with Mark to the children, and others we listen to on audiobook. Read for the Heart: Whole Books for WholeHearted Families by Sarah Clarkson – I cannot recommend this book enough. This book was written from a grown child’s perspective who was raised on literature as a means of education and discipleship. 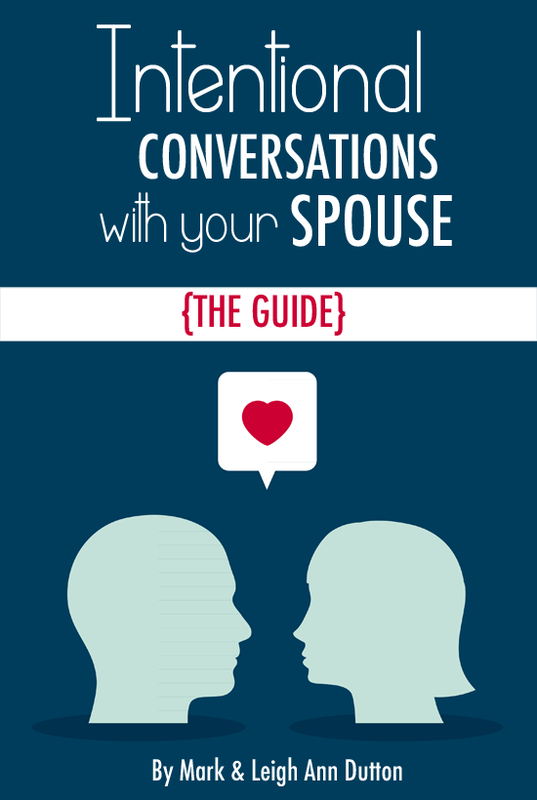 The book list provided in this resource is invaluable. Honey for a Child’s Heart by Gladys Hunt – This was one of the first books I read on using books as a part of family life. The book list in this book is a great place for getting started. 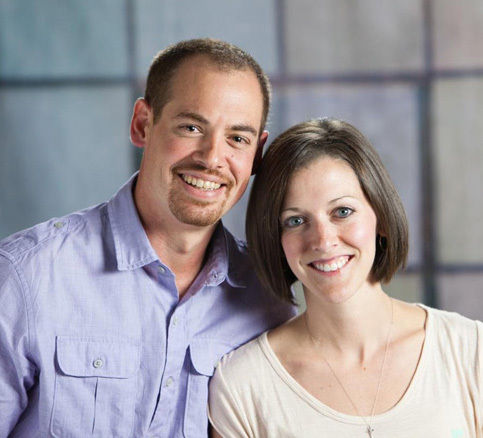 Read-Aloud Revival Podcast with Sarah Mackenzie – I love this podcast! Sarah has such an upbeat personality and the people who come on the show have such a love for literature and creating a family culture around books. If you want to be inspired, then you must listen to this podcast. I don’t catch every single show, but when I’m in a bit of a reading funk, I definitely turn an episode on to get inspired.